Volunteer firefighters are seeing new safety challenges when responding to collisions involving electric or hybrid vehicles. Electric and hybrid cars provide benefits, but also come with a learning curve for firefighters. Volunteer firefighters in Saskatchewan have introduced an electric and hybrid component to their training over the past few years, but they are having a hard time getting hands-on experience. "[It's] probably seldom to see a hybrid in the country, let alone have one involved in an accident," Doug Lapchuk, head of the Saskatchewan Volunteer Firefighters Association, told CBC Radio's Saskatoon Morning. "With a lack of availability of these vehicles, for us to actually go hands-on becomes a bit of a problem because if you don't train on it you don't know what you're up against," he said. "You're just going from a picture, and sometimes pictures aren't always right." Lapchuk said EVs and hybrids can bring a different set of issues that can be potentially dangerous to firefighters. "The biggest challenge with an electric or hybrid is the fact that after the collision the batteries can still be energized, and with the fob-style keys that vehicle can still move without warning," he said. That can put firefighters at risk because they might not hear the vehicle if it's in motion. Lapchuk said firefighters need to take additional steps such as blocking off the wheels, locating the key fob and ensuring it's at least 30 feet away from the vehicle. Meanwhile, another firefighter on the scene needs to use an app to find the vehicle's main source of power and disable it. He said firefighters are being trained on how to extract people from EVs and hybrids, which is similar to extracting people from non-EVs and hybrids, except there's a chance of running into high-voltage lines in the engine. 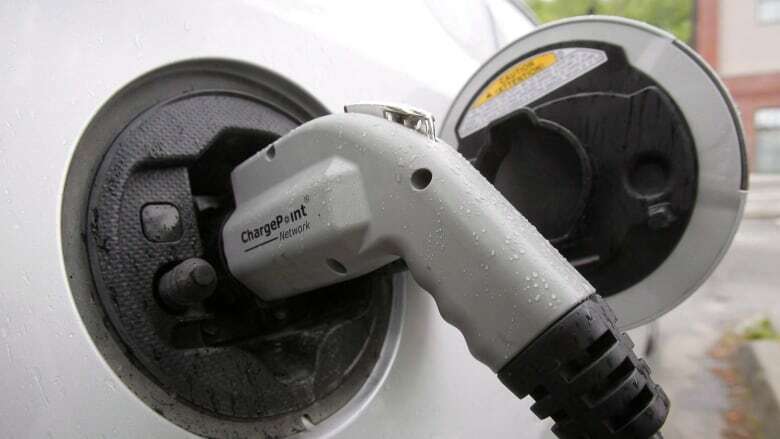 Lapchuk said there's a level of comfort when dealing with EVs and hybrids, but like most scenarios, he said, "We can never be 100 per cent ready to mitigate all risks. The changing types of batteries can pose a problem, some of the different designs, maybe we don't have the most up to date app." He said dealing with different types of metals in the car can also be tricky, especially since electricity can continue to flow even after a collision. "Even once we isolate the larger battery, there's still a 12-volt system that's designed to start the engine that has to be isolated and taken care of as well." Despite the challenges of training, he said volunteer firefighters are as ready as they can be with the experience they have.